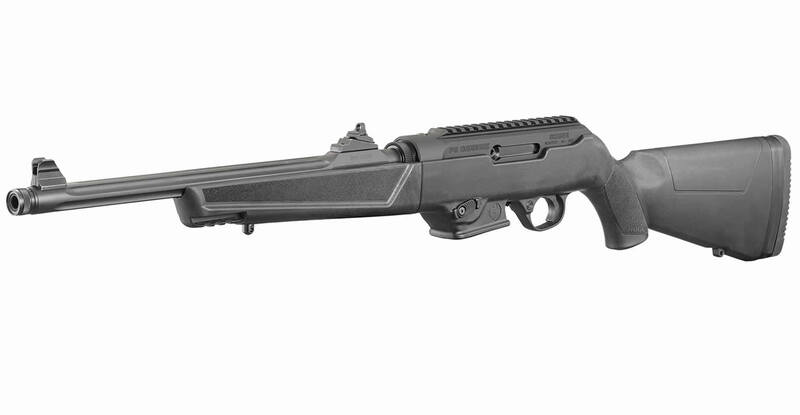 The Ruger PC Carbine in 9mm features interchangeable magazine wells for use of common Ruger® and Glock® magazines. 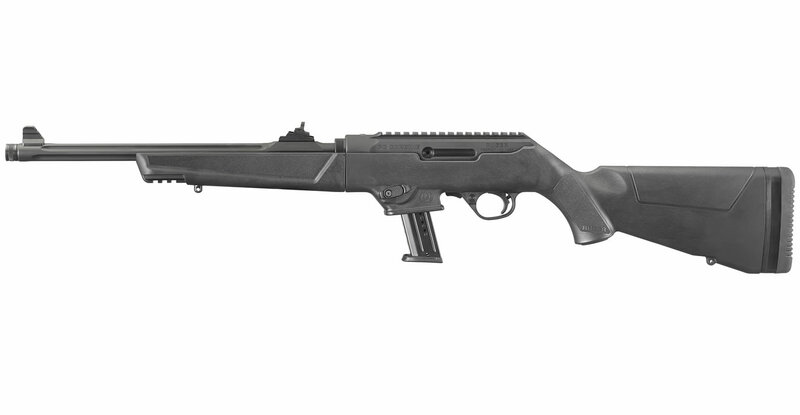 Other features include a 16.12" threaded, fluted barrel, and a black synthetic stock. Easy takedown enables quick separation of the barrel/forend assembly from the action for ease of transportation and storage. 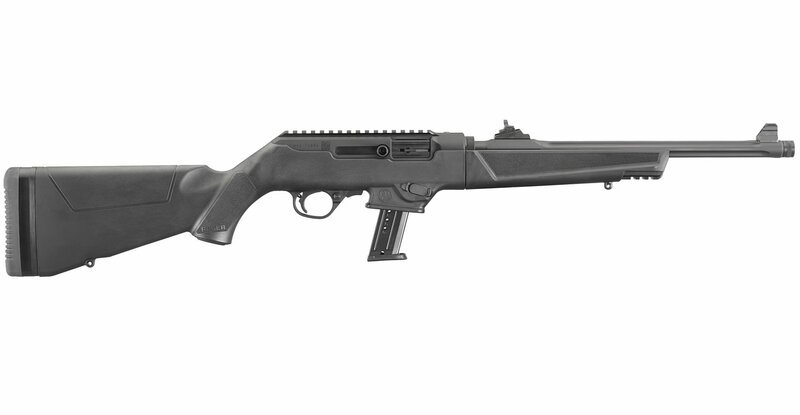 Takedown is as simple as locking the bolt back and verifying that the rifle is unloaded, pushing a recessed lever, twisting the subassemblies and pulling them apart. 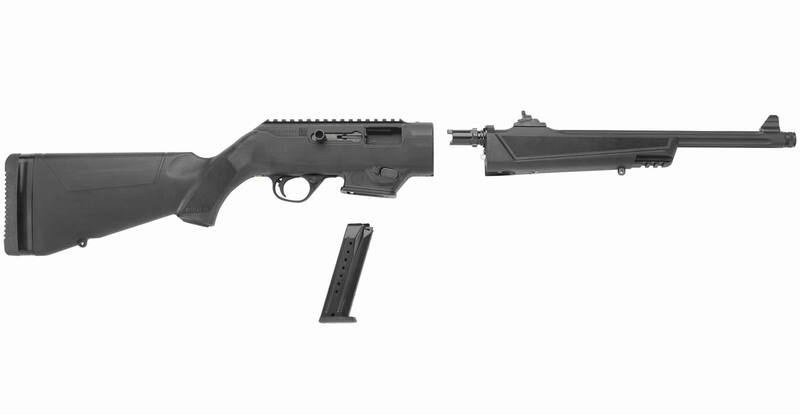 Interchangeable magazine wells for use of common Ruger® and Glock® magazines. Ships with SR-Series Pistol and Security-9® magazine well installed and an additional magazine well accepting Glock® magazines is included. 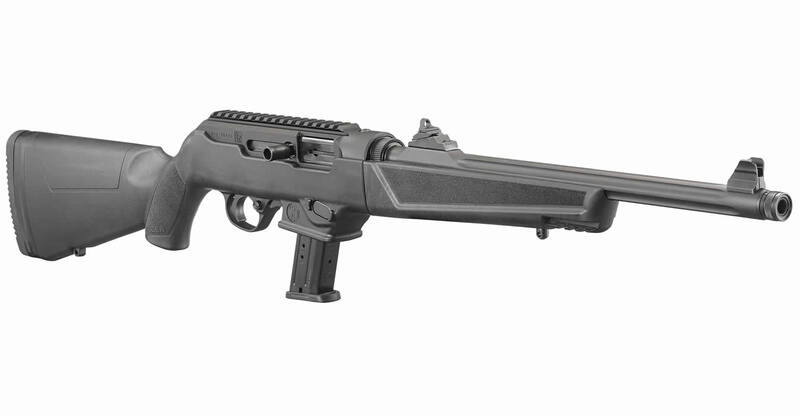 Thanks to Ruger for bringing this updated version to the market. Thanks to Vance's Hebron location for the professional service I received. 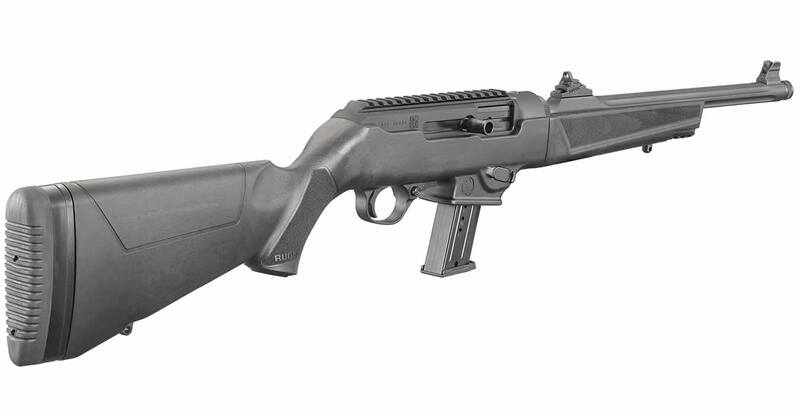 This carbine shoots super tight groups. The sights are spot on right out of the box. Fit and finish of the rifle are superb. The takedown feature is an added bonus. Both the Ruger magazine well and the Glock magazine well function flawlessly. Using the included Ruger SR 17 round magazine and Glock 17,19 and 33 round magazines, I fired over 500 rounds of various FMJ and JHP at Vance's Obetz range without any FTF,FTE,FTB. With the ability to have the charging handle on the left side along with mag release the ergonomics are perfect.